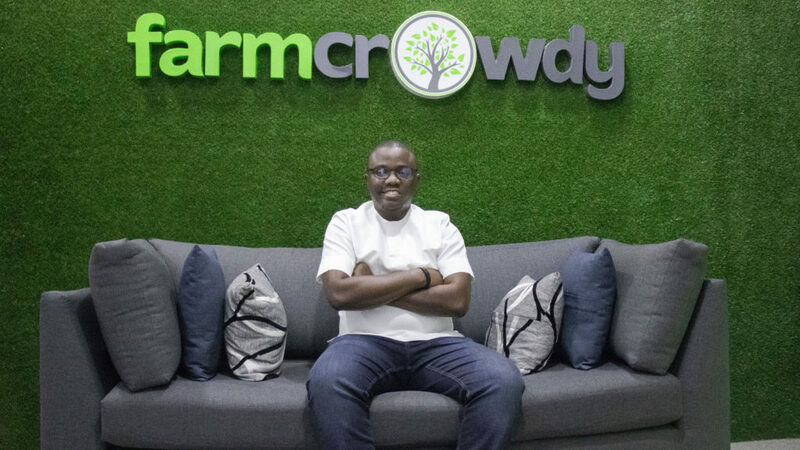 In just 18 months Nigerian agritech platform Farmcrowdy has grown to helping 7000 farmers on farm land across nine states in Nigeria to help fund the purchase of inputs such as seed, fertiliser and day-old chicks. Farmcrowdy assists farmers to source funding to buy farm inputs. Last year the startup raised $1-million in a round from Techstars, Cox Ventures and Social Capital. But, just how did the Lagos-based startup — which last week won the Digital Business of the Year Award at the 2018 Global African Business Awards — achieve such success so quickly? Farmcrowdy CEO and founder Onyeka Akumah, who will speak at a Startup Grind Lagos event this Saturday, puts it down to hard work, the power of relationships and a bit of luck. He explains that the first seed-funding the startup raised of $60 000, from an undisclosed local investor, came about thanks to a relationship he had built with someone he played football with. “We had a relationship on the pitch for over three months before I realised who he really was and then that translated into business eventually. This is how I look at it generally. I think we are all products of relationships and I value the relationships I have,” he says. Akumah says he tries to maintain the relationships he forms with fellow entrepreneurs, investors and former colleagues. “You can’t do this a 100% with everyone, but relationships are as important as raising money,” he says. Last year, the startup was the only African company selected to join Techstars Atlanta accelerator programme. “One of the things I made sure I did was to start up a new funding round while we were there because the business had already grown at that point,” says Akumah who adds that the startup wanted to secure funding before its first anniversary. While in Atlanta, he says the startup caught the interest of a lot of investors in the US, eventually raising a $1-million round from Techstars, Cox Ventures and Social Capital. “We were able to convince the investors and showed them what we wanted to do with the money, and yeah that was how we found ourselves raising that money. So there’s a bit of luck and hard work,” says Akumah. For Akumah the importance of relationships also extends to his team. He believes the relationships he had with his co-founders Anazodo, Akindele Phillips, Tope Omotolani and Jimoh Maiyegun prior to founding the company helped him build a strong team around himself as well as around the idea, giving him the means to execute it. 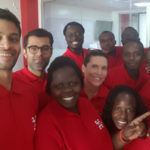 “I remember when one of the investors said to us when they look at the different criteria on why they selected this business to invest in three Ts came up: team, team, and team,” he says. The three Ts he explained refer to relationships within the founding team, the founders’ capacity to execute ideas and the entrepreneurial nature of the four co-founders. Akumah says prior to founding the startup in 2016, he wanted to apply tech on three different sectors: agriculture, real estate and transportation. He picked agriculture as at the time the Nigerian government was encouraging citizens to invest in agriculture. “I felt like there was an opportunity to do so,” he says. On conducting some market research with co-founder Ifeanyi Anazodo, Akumah found that farmers struggled with access to funding, technical know-how and market access. On the other side, he says, were people that wanted to invest in farmers but did not know which ones to trust or ones that could bring back a “decent return” at the end of the harvest season. Farmcrowdy, Akumah points out, was designed to solve the problems facing both sides. “To the farmers we stand as a bank in itself, we provide the farmers with inputs they need, we provide the farmers with technical know-how, and also tidy up markets so farmers earn a decent margin from farming with us,” he explains. The startup also acts as guarantors for sponsors and makes sure that farmers have all they need to work properly as well as provide sponsors with updates. Akumah says he is looking to replicate Farmcrowdy’s model in Ghana, Kenya and Rwanda. He believes that since farmers in these countries face the same issues as those faced by their counterparts in Nigeria, the startup will be able to provide similar solutions. “We’ll continue to expand in Nigeria, and in the future we will definitely look into those countries that I just mentioned, but that won’t happen until next year or so,” he says. Farmcrowdy also recently launched Agricsquare, an information hub that deals with everything related to agriculture from jobs, news, grants and consulting. 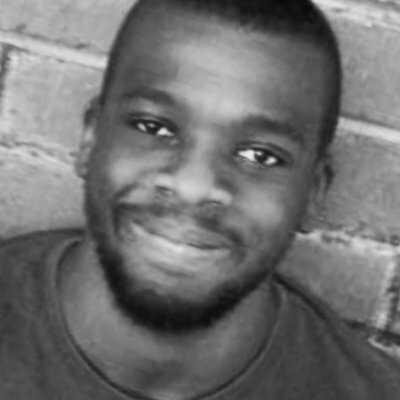 When asked by Ventureburn whether he was building Farmcrowdy to eventually exit it — like he did with his first major startup, a news aggregator which he sold to Nigerian newspaper Business Day (he declined to reveal the startup’s name) — Akumah says “I’m going to be a here for a very long time”. He says he sees himself as someone who is building value across different sectors, and believes there are many opportunities for him to explore within the agriculture value chain. Says Akumah: “Today we are in financing and production, tomorrow we will be in logistics, after that we will be in warehousing, we will be a marketplace”. Akumah will speak on his journey as an entrepreneur, his failures, and how he built his company to attract the attention of investors across the world at a Startup Grind Lagos event this Saturday.